The amount of data accessible to marketers is growing at a tremendous pace, and has been doubling every two years. By 2020, it is estimated that there will be approximately 44 zettabytes or 44 trillion gigabytes of data. With this growth, tapping into the potential of data analytics is vital for marketers as they try and gather more information about their audience. Is data analytics important for marketers? Data Analytics is the field where structured and unstructured, internal and external data are analyzed using various qualitative and statistical techniques to extract meaningful insights. In turn, these insights help empower businesses and marketing teams to make informed decisions. With access to data such as traffic analytics, conversion rates, click-through rates and more, marketing teams now have the ability to optimize their efforts to maximize their marketing budgets. According to the American Marketing Association (AMA), marketing is the activity, set of institutions, and processes for creating, communicating, delivering, and exchanging offerings that have value for customers, clients, partners, and society at large. Businesses market their brand, products and solutions in order to intrigue and build relationships with their target audience. More specifically, digital marketing consists of marketing across various channels such as email, digital advertising, paid search, social media and more. For marketing teams to be able to market effectively, they need to understand the behaviours and preferences of their target audience. Prior to the internet revolution, marketing teams used surveys as a primary communication channel with their prospective customers. Companies like Nielsen and Kantar specialized in conducting these surveys. However, this was an expensive, drawn out solution that only larger enterprises had the resources to conduct such surveys. With the rise of the internet and complementing software solutions, marketing teams are now able to leverage data to engage with their prospective customers in a variety of ways. People spend hours online using search engines, visiting websites and sharing content. All of this data is now tracked and can analyzed by marketing teams. Analyzing this data is beneficial for marketers as it gives them a better understanding of their consumer preferences. Moreover, marketers can analyze the performance of various marketing initiatives and campaigns they have deployed. This provides marketers with further insight into which campaigns, channels and methods are effective. On average, marketing analytics accounts for 9.2% of marketing team's overall budget making analytics a significant aspect of marketing that teams are putting weight on. 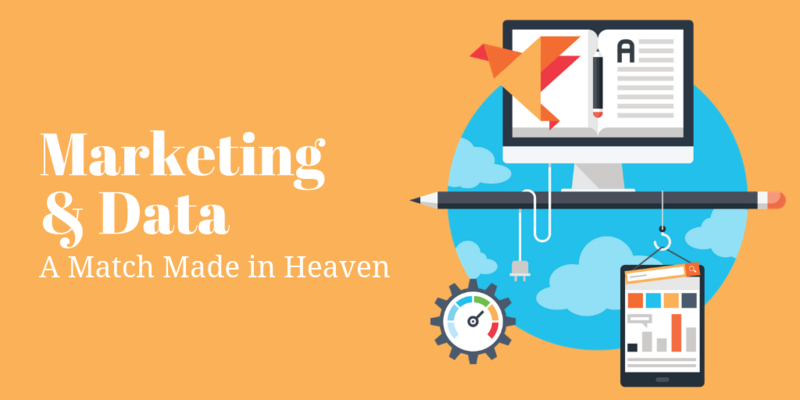 It is clear that marketing and data are a match made in heaven. Why is data important to marketers? One of the biggest challenges faced by marketing teams is interpreting their audience's online behaviours and varies frequently and predicting an audience's behaviours. In this era of digital overexposure, scrutinizing consumers’ online behaviour and using various predictive analytics tools will help you predict the future course of actions for a potential buyer. This analysis and prediction will enable marketers to understand how their marketing efforts should be polished. It is easier than ever to uncover the preferences of your consumers. Based on the content they engage with online, their social media profiles, the websites they visit and more, marketing teams are now more equipped than ever to identify where their audience's interests lie. By analyzing this data, marketing teams can segment by different interests and tailor their efforts accordingly. Understanding these preferences will not only help in marketing the right products or solutions to their potential customers, but this will also aid in deciding which offers or promotions are most applicable for that segment. Marketers must track the effectiveness and outcome of their campaigns to understand their performance and optimize their marketing budgets. Data Analytics can help businesses optimize campaign performance and take well informed data driven decision while planning their future campaigns. Campaign analysis and optimization helps marketers maximize ROI on marketing spend. Marketing data analytics can help us understand which of the marketing channels are working well for your business while which aren’t. Digital data allows marketers to track the course of action the buyer takes in their journey from initial interest stage to final purchase stage. Analyzing these digital traces, they leave behind in the form of cookies, website clicks, and heat map will help marketers understand which of the marketing channels proves to be successful for which specific user groups. 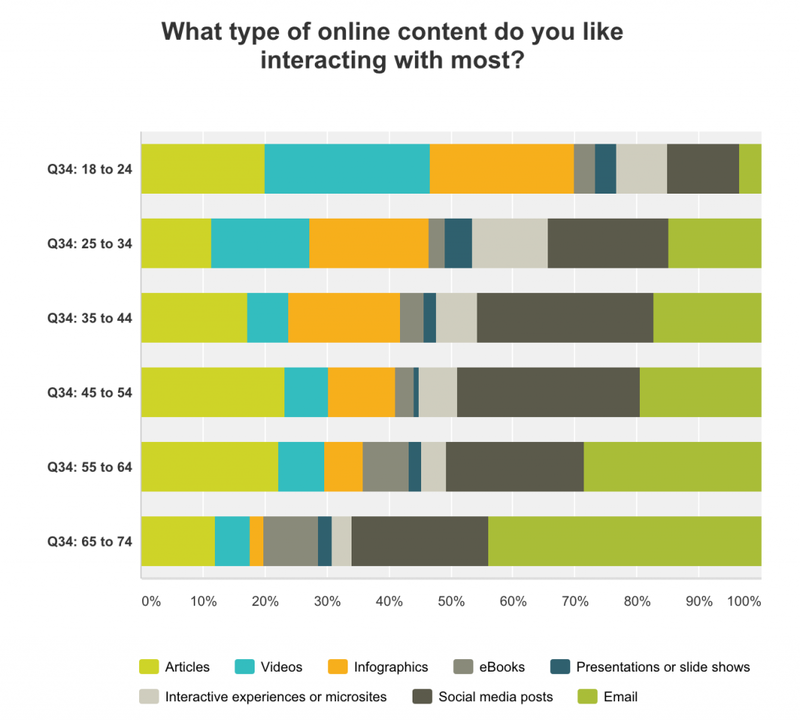 Why is data important to content marketers? Gone are the days when marketers used to create content based on what they believe the consumers read. Now content marketing has evolved to become a data driven decision. Website analytics helps marketers understand how their customers and potential customers consume the content created by the business. You could see the time spent by users on various pages in the website, where they click and even heat map of where their attention is maximum. This kind of analysis on the preferred content would enable marketers to lay out a clear content marketing strategy and plan. Data analytics can give insights on what your target audience is searching on. You could also analyze your email marketing metrics and social media metrics to understand which content drives maximum website visitors. This way you can create content that potential consumers have access to while researching or spending time online. Data analytics can help content marketing initiatives by predicting which kind of content would do well on which of the channels. Kind of content would have a big impact based on the channels that marketers use to communicate their message to the target audience. Type of content that your target audience prefers could also vary widely depending on several factors like demographics, age group, gender and education. For example, using the inferences from the below graph we could say if you want to create content for the age group 18 to 24, then videos and infographics, closely followed by articles would be the popular forms of content one could create. On the other hand if you are targeting the age group 65+ emails would be the most popular content. Type of content that is consumed by the audience also changes depending on which stage of the buying journey they are in. Marketing data analytics analyses traffic driven by the content, engagement rates and conversions. Traffic data would give us an estimate of the number of people who are reading your content and engagement rate would help us understand the kind of connect our content is able to achieve among the audience. These details along with the conversion rate would help marketers in estimating the ROI of their content marketing efforts. Marketing is no more seen as a function where decisions are taken based on intuitions and gut feeling. Marketers these days have to back their marketing strategies and plans with strong data and insights derived by analyzing the consumer data. Data overload is a common pitfall in marketing data analytics. It is important for analysts to first understand the questions they want to answer and filter the data accordingly before starting the actual data analysis. Marketing analysts have to incorporate data from various internal and external sources in order to be able to harness meaningful insights that can prove to be competitive advantage for businesses.